With a nod to the pioneering work of Annette Peacock and Paul Bley, Matthew Bourne has turned his considerable talents to the world of analogue synthesisers. Growing from improvised live performances, these compositions took shape in the studio as Bourne explored and moulded the vast sonic possibilities of voltage-controlled oscillators. The seed for this project was planted when he acquired an uncooperative 1982 Memorymoog, having it painstakingly modified and upgraded by Rudi Linhard in Germany. Created without the use of computers or sequencers, moogmemory is the first album to be recorded using only the Lintronics Advanced Memorymoog. 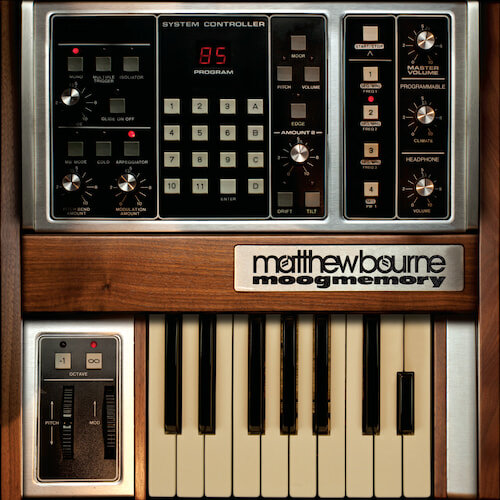 Unfortunately at this time we can't offer all the Matthew Bourne - moogmemory tracks as individual wavs, as some of these tracks exceed the shops maximum (10mins) download length.